This compact full performance camera is ideal for discrete video surveillance in indoor areas. It has built in IR illumination making it suitable for day and night use. Wide Dynamic Range (WDR) further improves picture quality in difficult lighting conditions. This camera features hardware based WDR and offers up to a 120 dB improvement in image contrast. H.265+ latest generation encoding / compression for up to 80% decrease in bandwidth and storage requirements vs H.264. Built in efficient IR LEDS provide coverage up to 25m. ICR filter for day/night switching. 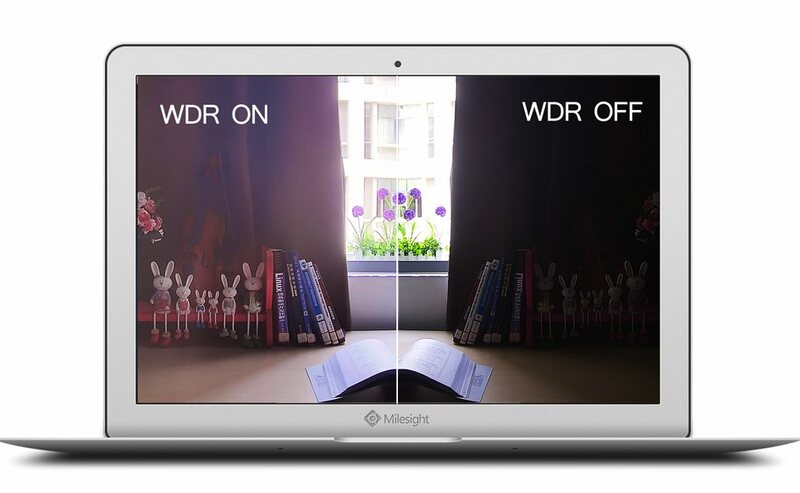 Hardware based WDR further improves image quality under difficult lighting conditions. Compact size. A tiny 97.8mm x 97.8mm x 57.9mm tall. 2.8mm fixed lens gives 92.9° horizontal field of view. H.265+ / H.265 (HEVC) / H.264+ / H.264 / MJPEG compression. POE - Power over Ethernet. 802.3af compliant. E-PTZ, 3D-DNR, privacy masking and motion detection. 2560 x 1920 @ 20fps maximum resolution. Available in both black and white colours, this camera is sure to blend in. H.265+ is the latest version of the H.265 compression format. It uses 70% to 80% less bandwidth than H.264. 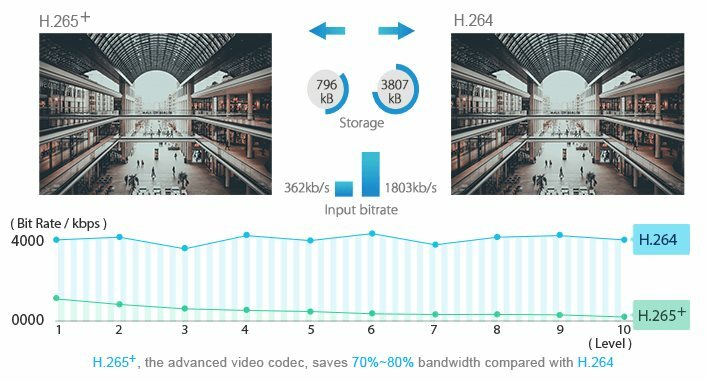 Compared to H.264, H.265+ has the following benefits: Up to 80% reduction in bandwidth for images at the same resolution. Up to 80% reduction in storage for images at the same resolution. Up to 80% reduction in bit rate for the same visual quality. Future proof for 4K UHD and 8K UHD. 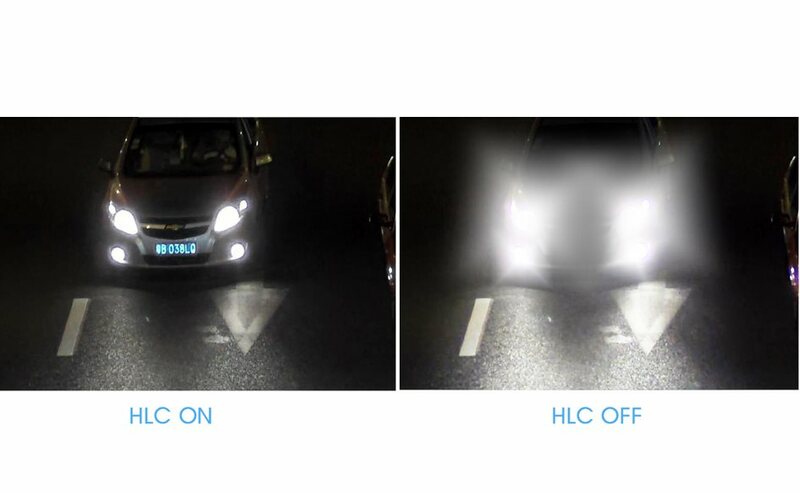 The IR distance is up to 20m with two High Beams and two Low Beams. Moreover, with the IR anti-reflection panel, the infrared light transmittance is highly increased. With true sensor based WDR these cameras can provide the greatest amount of detail in both light and dark areas at the same time. 120 dB true WDR gives more contrast and clarity than ever before. Upgraded with new codec, the microphone audio quality is clearer and improved over previous generations. The base of the New IR Mini Dome Network Camera based has been improved to better deal with thermal loads. Raised strips increase the surface area allowing for greater heat dissipation. Installation is a piece of cake thanks to some clever design features. The case opens with a simple press of a button. A side cable grommet allows easy cable access. Use the A71 wall mount accessory to easily install the IR mini dome on a wall or vertical structure. Motion Detection, Network Disconnection, Audio Trigger, Tampering Alarm etc.